The University of the Fraser Valley women’s basketball team put on a defensive clinic on Saturday evening, knocking off the reigning national champion Saskatchewan Huskies 59-48 at the Envision Athletic Centre. The Cascades limited the Huskies to 22.4 per cent shooting from the field and won the rebounding battle by a 48-38 margin en route to victory. Kayli Sartori, who had an off night in the Huskies’ 53-44 victory on Friday, bounced back in a big way, stuffing the stat sheet to the tune of 23 points, eight rebounds, six assists and three steals. Saskatchewan, No. 9 in the U Sports national rankings, were led offensively by Sascha Lichtenwald (14 points) and Summer Masikewich (13 points). The Huskies held a slender 11-10 lead at the end of the first quarter, but the Cascades owned the second – they outscored the visitors 20-11, with Sartori pouring in 11 points in the frame. UFV maintained a double-digit lead for most of the third quarter, but Saskatchewan opened the fourth on a 6-0 run to cut the Cascades’ lead to 43-39. The hosts, though, executed well down the stretch, with each member of their crunch-time lineup – Sartori, Sydney Williams, Taylor Claggett, Sara Simovic and Shayna Litman – hitting shots to put the game out of reach. Litman finished with 11 points, while Claggett posted nine points and 10 boards. “Tonight our veterans led us, and it’s important for them to experience that,” Tuchscherer said. “I think our D was pretty tough for two days in a row here. We forced a lot of tough shots, and we’ve been talking about that. A lot of things we’ve been talking about defensively have come together her a little bit. But we’re young and still fragile, and it’s a matter of doing that consistently now. UFV and Saskatchewan emerge from opening weekend with matching 1-1 records. Up next for the Cascades is a home-and-home set next weekend against their local rivals, the Trinity Western Spartans – Friday at the EAC (6 p.m.) and Saturday at the Langley Events Centre (4 p.m.). The Huskies’ home openers are on tap – they host Winnipeg on Friday and Saturday. A big night from Shane Osayande and a dominant performance on the boards paved the way for the Saskatchewan Huskies to knock off the University of the Fraser Valley Cascades 78-62 in Canada West men’s basketball action on Saturday evening. Osayande, fourth-year forward from Toronto, racked up 30 points and 18 rebounds – both game highs – and the Huskies out-rebounded the Cascades 51-28 en route to victory. Manny Dulay notched 20 points for the hosts, who trailed by 20 points in the second quarter but battled back to within three points early in the fourth. The Huskies, though, pulled away down the stretch thanks to some clutch shooting from Osayande and Alex Unruh, who scored 15 off the bench. Both teams emerge from the weekend with a 1-1 record, the Cascades having prevailed 59-50 in Friday’s opener at the Envision Athletic Centre. The Cascades had beaten the taller Huskies 48-39 in the rebounding department on Friday, but Saskatchewan turned the tables in the rematch and built a 40-20 lead midway through the second quarter. UFV ended the frame on an 11-2 run, with Dulay scoring six points and Anthony Gilchrist notching five during that stretch, to cut the deficit to 42-31 at the break. The Huskies got the lead back up to 18 in the third quarter, but the Cascades heated up at that point, outscoring the visitors 27-12 over a 10-minute stretch bridging the third and fourth quarters. After a Vijay Dhillon three-pointer and a Gilchrist layup, Saskatchewan’s lead was 62-59 with 6:34 left in regulation. But Unruh answered with a three-pointer and a tough driving layup on consecutive possessions to get the lead back up to eight, and the Cascades would muster just three more points the rest of the way. Gilchrist (13 points off the bench) and Dhillon (10 points) also scored in double figures for the Cascades, who shot 36.2 per cent from the field to Sask’s 41.5. Up next for the Cascades is a home-and-home set next weekend against their local rivals, the Trinity Western Spartans – Friday at the EAC (8 p.m.) and Saturday at the Langley Events Centre (6 p.m.). The Huskies host the Winnipeg Wesmen next Friday and Saturday in their home openers. In the aftermath of Friday’s four-set loss to the Camosun Chargers, University of the Fraser Valley women’s volleyball head coach Mike Gilray bemoaned his team’s lack of offensive balance. One night, the Cascades’ middles might be hot, but the outside hitters wouldn’t be able to get anything going. The next night the outside hitters would figure it out, but the middles would struggle. On Saturday at the Envision Athletic Centre North Gym, the Cascades finally put it all together. Four players – Rachel Funk, Kim Bauder, Monique Huber and Mandelyn Erikson – registered double-digit kills, and setter Jessica Funk handed out 54 assists in a four-set victory over Camosun (25-22, 25-21, 20-25, 25-15). UFV improved to 2-5, moving up from seventh place to fifth in the PACWEST in the process, while Camosun fell to 4-4. The Chargers have split all four of their weekend series to date this season. “An all-around good game for us today,” Gilray enthused afterward. “It was exciting to see. The Cascades’ lone stumble of the night came in the third set, when they surrendered an 8-1 run that enabled the Chargers to surge ahead 20-14. Otherwise, the hosts were firmly in control, and they punctuated the victory with a decisive fourth-set performance. Rachel Funk paced the offence with 16 kills on 38 per cent hitting, but she had plenty of support – Bauder hammered 12 kills of her own, and middles Huber and Erikson had 10 apiece. The defence was also exemplary – libero Amy Davidson racked up 19 digs, and Bauder (17 digs) and Rachel Funk (nine digs) also performed well in that department. The Cascades volleyball teams are back in action at home next weekend, taking on the Douglas Royals on Friday (women 6 p.m., men 8 p.m.) and Saturday (women 5 p.m., men 7 p.m.). The University of the Fraser Valley men’s volleyball team wrapped up a weekend sweep of the reigning PACWEST champs on Saturday afternoon, defeating the Camosun Chargers in four sets at the Envision Athletic Centre North Gym. The Cascades, coming off a four-set win over Camosun on Friday, took the rematch in similar fashion (25-20, 22-25, 25-23, 25-19) as sophomore left side Ben Friesen spearheaded the offence with 17 kills. UFV improved to 5-2 and grabbed sole possession of second place in the PACWEST, while the fourth-place Chargers fell to 4-4. Friesen paced the Cascades offensively, but he had plenty of support – Joel Kleingeltink had 11 kills, Dayton Pagliericci had nine, and Connor Pruim and Nick Bruce notched seven apiece. Setter Adam Frederickson, in addition to running the offence efficiently, posted a team-high three blocks. Donen said the most pleasing element of the victory was his team’s resilience. 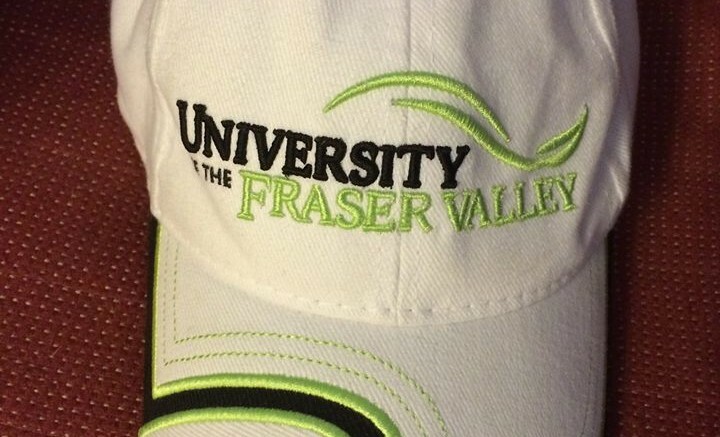 Be the first to comment on "UFV Sports Saturday – Hoops and Volleyball"